Many come to Bali in search of something more: the mystical, the lush, the indescribable. Pulled in by the Balinese traditions, pristine beaches and thick jungles, people come to Bali to rejuvenate and tune back in to a simpler way of life. A life of balance, a life of community, a life where joy seems to be the single priority for many of the locals in Bali. 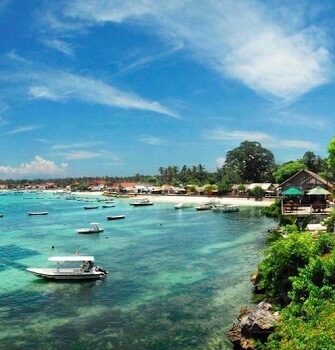 Over the last decade, tourism in Bali has grown tremendously. This has had some positive impacts so you can find Western conveniences in the Urban town centers like Ubud, Seminyak, Denpasar and Kuta. However, it has also made getting to see the real Bali a little bit more challenging. The small and authentic jungle adventures with just you and the locals aren’t as readily accessible nowadays. If they do not use large scale advertising and often they won’t have a website, they are still there, just harder to find. You will have to ask around and connect with a few locals to find the smaller off the beaten track tours. The Balinese love to put on a show, especially when it involves sharing their country and traditions, and if you make a local friend or two while you’re in Bali, you’ll be guided exactly to where you wanted to go (intentionally or unintentionally!). Below we have connected you with our favorite local guides and Bali tours that will lead you on an incredibly intimate and unforgettable Bali experience. Sepeda means “bike” in Balinese, and local twins Wayan and Ketut Kembar will take on you the biking tour of your dreams! Guided by their warm smiles and cheeky personalities, the Kembar twins offer you a unique cultural experience through their full day cycling excursion. The twins cycle you along a little known bike path that winds through exotic jungle rarely seen by tourists, extensive rice fields, and incredible views of Mt. Batur. Along the way, you will stop for sampling of local fruits fresh from the tree, views of Balinese herbs and coffee plantations. For lunch, you will make a stop at the Twin’s family compound in Klungkung village where you will be served a traditional Balinese gourmet meal. And you’ll end your trip together with a stop at the white sand beach for swimming just before going back to your hotel. Discounts are available for group of 4 or more. In addition to hosting incredible tours, Sepeda Bali has a non-profit project called Cycling Recycling. The twins use the profits from their Bali tours to give back to the beautiful mother-earth they tour every day. They devote themselves to collecting and recycling items along their treks, villages, and the beach. By taking a cycling tour, you help the Twins educate the local villagers (from youngsters to elders) and contribute to cleaner Bali. Most visitors to Bali only see the surface - the black sand beaches, the fancy lobbies and swimming pools of their hotels and a few touristic performances. These traditional Bali tours with Dhyana Putri Adventures will take you to a Bali that not that many people see. They tailor your tour to your individual tastes and set up lessons, tours of schools and factories and meetings with local experts and craftspeople. 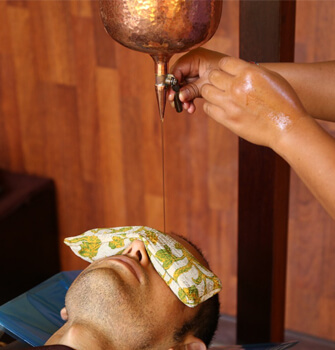 Dhyana Putri Adventures go to great lengths to discover special ceremonies and rituals occurring during the time you are here. 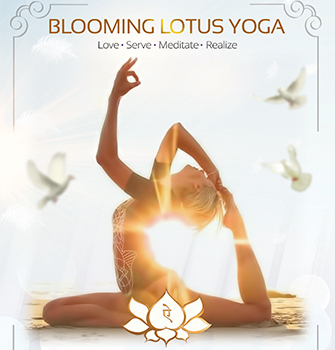 Offering a bicultural and bilingual staff, Dhyana Putri is ready to guide you back into harmony with yourself. 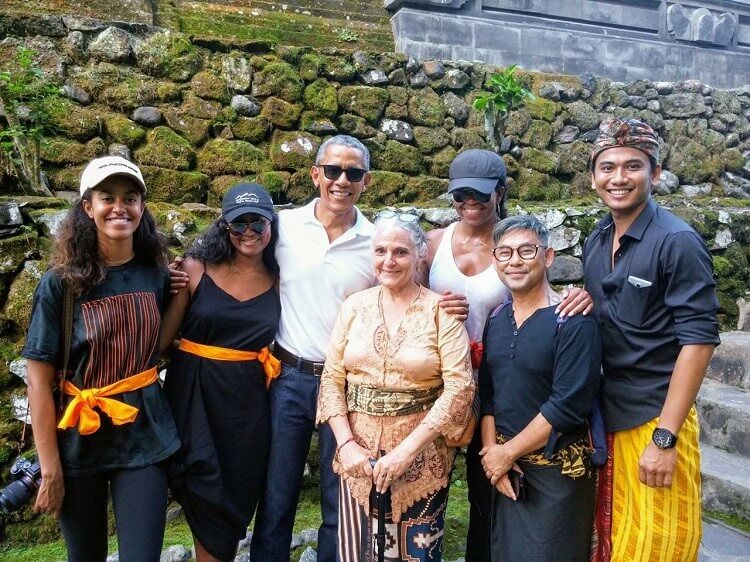 Rucina had the honor of guiding President Obama and his family in Bali in July 2017. Taking a journey with Dhyana Putri to Balinese rituals and ceremonies where the many layers of meaning are peeled away. Feel the extraordinary spiritual power that Bali has to offer by participating in temple festivals or meditating in sacred spots. 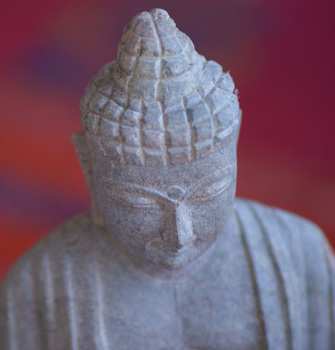 Experience the learn about the tranquility of the deities - the mountains, and the spirits of purification - the sea. Dhyana Putri Adventures can facilitate the journey of serious seekers of balance and harmony as well as more light-hearted adventurers. They go to great lengths to ferret out special rituals and ceremonies taking place on the island, rare forms of performance, life and death cycle rites such as baby ceremonies, tooth filings, weddings, and cremations for you to witness and document. Batur Lake, Volcano and Temple - 6 - 8 hours. 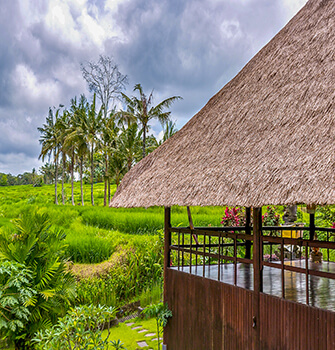 An hour from Ubud, journey through beautiful countryside and terraced ricefields. In Batur there is a fantastic view of the caldera lake and on the way home we will stop at a garden temple. There will be a lunch at a lovely rice paddy field side restaurant. After lunch, they will take you to visit a museum, an artist's studio, to do some shopping, and can spend the late afternoon watching a dance lesson…there are many options to choose from. East Bali - 8 hours. East Bali is perfect to take a trip to see a weaving and gamelan factory. They can take you to visit the Hall of Justice in Klungkung, a traditional coin factory, and eat a delicious lunch. After that you will go to Tenganan Bali Aga village to see the double ikate weaving geringsing. West Bali - 8 hours. In west Bali, your guide will take you through Batukaru rainforest and for lunch at an isolated jungle resort. 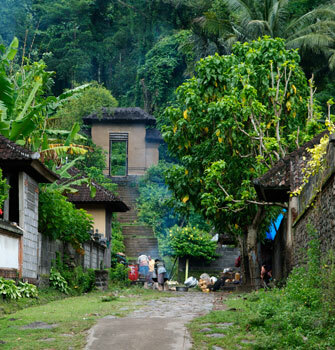 You will visit a typical Balinese farmer's home and walk through a small village. You will stop for a walk around Pura Ulun Danu temple followed by a visit to a local fruit and flower market. Performing Arts Day - 8:00am - 9:00 pm. 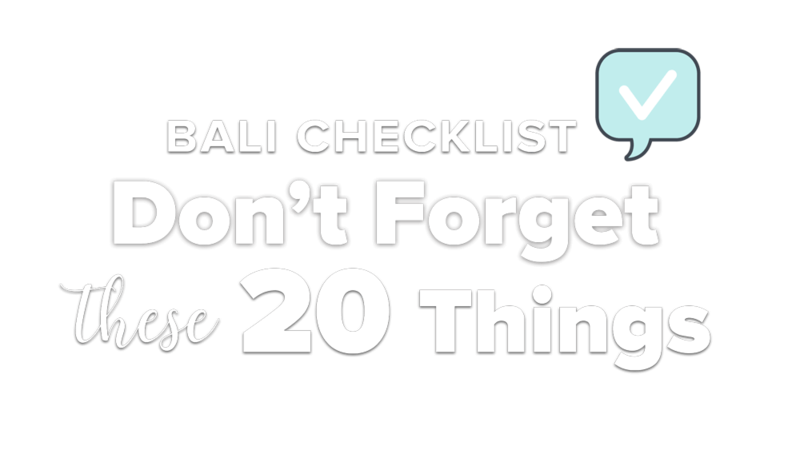 If you’d like to learn how to play Balinese music, this is for you! The day will start off with a traditional gamelan (a bronze xylophone type instrument) lesson, and then you will go to see the traditional Balinese Barong dance in Batubulan. This tour takes you to see many stone carvers, eat lunch in Ubud, take a Balinese dance lesson (either as participant or observer! ), and then for dinner before watching a live dance performance in central Ubud. Village Walk and Architecture - 5 hours. For those who are curious to know about the everyday life of the Balinese, this early morning walk through a local village will help you understand the Balinese community system. You will have the chance to visit traditional homes. After that you will go to the temples in Pejeng to see the architecture followed by lunch in Ubud. Temple Festival - 3 hours. After an early dinner, you will get dressed in traditional temple garb (provided) and visit a nearby temple in the midst of its anniversary celebrations. Shopping. Dhyana Putri can customize shopping for you to help you find exactly what you want in and around Bali. Includes: air conditioned van and driver, guide, mineral water and snacks, temple clothing. Does not include: entrance fees or donations, tips, meals. As Bali is renowned for its arts, students can study one of the myriad art forms here on the island: dance, gamelan music, stone sculpture, kecak, mask-making, offering-making, painting, sacred kidung songs, poetry—the list goes on and on. Throughout this program, students meet with experts in their fields and listen to lectures, participate in learning activities (how to plant rice!) and go on numerous field trips to experience daily village and urban life in action. 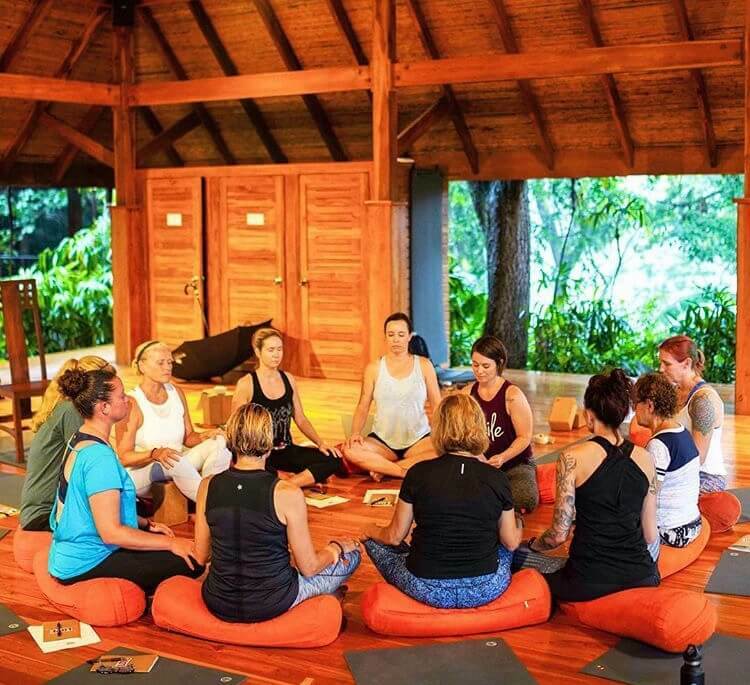 Dhyana Putri Adventures can set up lectures for 1 to up to 100 people. Want to know how the Balinese think about the current state of the world? Or simply need to know what things mean? They can provide lectures on nearly every subject from geography to tourism, from theater arts to cooking, from women's issues to weaving. 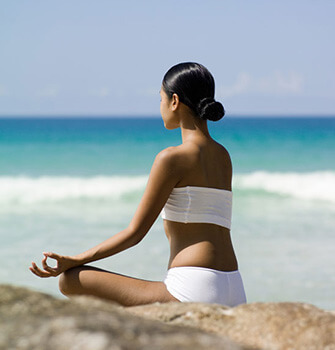 Also on a practical level, Dhyana Putri can set up your hotel or other accommodations in Bali and find qualified yoga teachers and healers, suggest healthy places to eat, spas and body treatment and more, tailor making your trip to Bali. Set in the middle of the ricefields, 25 kilometers west of Ubud and 10 kilometers north of Kuta in a tiny village, Rangki has been designed as a created Balinese palace to preserve the ancient traditional philosophy of Balinese architecture and botany. Writing a book or article and need to interview Balinese about their views but cannot speak their language? Or you need some assistance with getting the deeper levels of interpretation? Or you have a document that needs translating from Indonesian to English or vice versa? Dhyana Putri can find the people to interview and fully translate for you. Subtitling for films is another of their specialties! Bali, while it’s a very small island, makes your jaw drop in awe of a tiny paradise that feels as big as the globe. With all of the richness of culture, when exploring with a local tour guide, you find that hidden behind the busy streets of modern day Bali are the ancient, serene, and breathtaking views of mountains and ricefields that so many come to experience. If you move past the noise of the modernization taking place in Bali and take any of the tours above, or find your own, you are sure to leave feeling a deep sense of reverence for the natural land, a renewed sense of spirit and connection and a warmth in your bones. 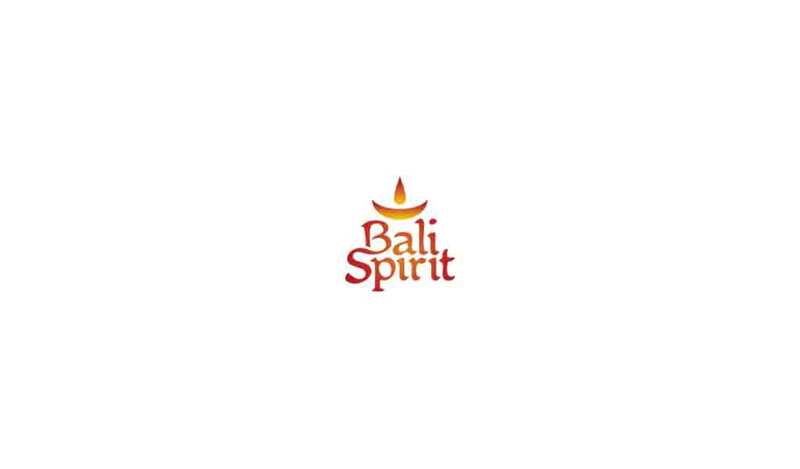 You’ll walk with the Spirit of Bali in your heart for the rest of your life.